Marianna Baer has an MFA from Vermont College of Fine Arts and is the author of the young adult novel Frost. According to Kirkus Reviews, “Baer has a knack for dialogue and creating creepy situations that will intrigue teens.” She lives in Brooklyn and works as a freelance editor. "Quinn’s determined struggle to piece together the puzzle compellingly drives the narrative onward, and readers on board for something thought-provoking will be hooked." "In a suspenseful and thought-provoking novel, Baer (Frost) tackles the illusiveness of memory (especially in regard to trauma), media firestorms, fear of the unknown, and the complexities of faith, without ever turning didactic or allowing Quinn’s story to fall into melodrama... It’s a delicate, complicated, and engrossing exploration of the collision between real life and the inexplicable." 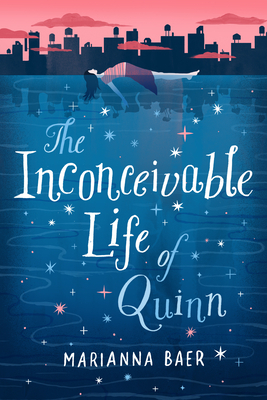 "Quinn's voice is real and believable, and the characters are multifaceted and sympathetic." "The confusion Quinn deals with is well crafted, and the secondary characters offer rich insight into the story...those who are looking for a story focusing on blending real life and the unexplained will enjoy this title."